Painting of John Burgoyne by Joshua Reynolds. 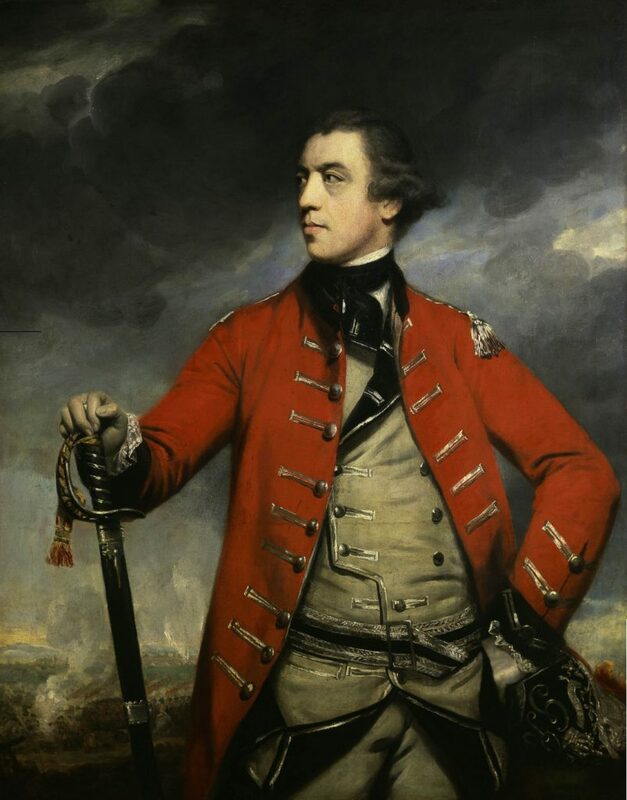 During the winter of 1776-77, General John Burgoyne took leave of his duties in Canada to visit England where he lobbied King George III and Lord Germain, the Secretary of State for America, for command of an army to invade New York from Canada. With support from two smaller forces, Burgoyne proposed moving a major strike force down Lake Champlain and the Hudson River Valley, capturing Fort Ticonderoga and Albany, thereby isolating New England from the southern colonies. The King and Lord Germain approved the plan and after several months of preparation, Burgoyne set out from St. Johns, Canada, on June 20, 1777, leading about 9,000 British and German troops. Initially, the operation was successful and Burgoyne easily captured Fort Ticonderoga when Arthur St. Clair’s defenders abandoned it without a fight. By September, though, Burgoyne’s advances bogged down as his army outdistanced its supply lines and expected reinforcement never arrived. American forces dealt Burgoyne two devastating defeats near Saratoga in September and October. On October 17, 1777, Burgoyne was forced to surrender the remainder of his army to Horatio Gates, the commander of the Northern Continental Army. The humiliating defeat was disastrous for Great Britain. When news of the American victory reached Europe, France entered the war on the side of the colonies. French money, supplies, and military assistance proved decisive in determining the eventual outcome of the War.